An anti-bacterial and anti-fungal clay which can be used to fill shallow gaps and cracks. 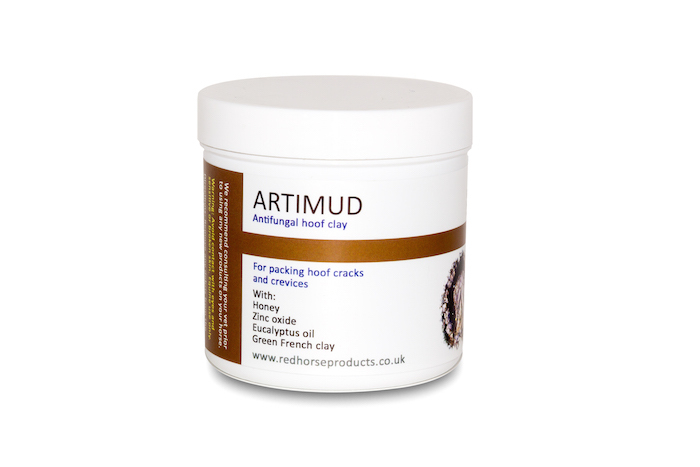 Artimud is ideal for packing shallow white line crevices, frogs and hoof cracks. It can be applied under stick/ glue on shoes to help maintain a healthy frog and sole. Directions: Remove debris from area and dry thoroughly. Push the clay into the crevices.